This monitor can show you how much your panels generated today, or this month. The 30-day history shows information like daily yield, minimum & maximum voltages and currents. Important information about the length of charge stages such as bulk, absorption & float during a specific day can also be shown. With such extensive information the user can gain a considerable insight into their system. 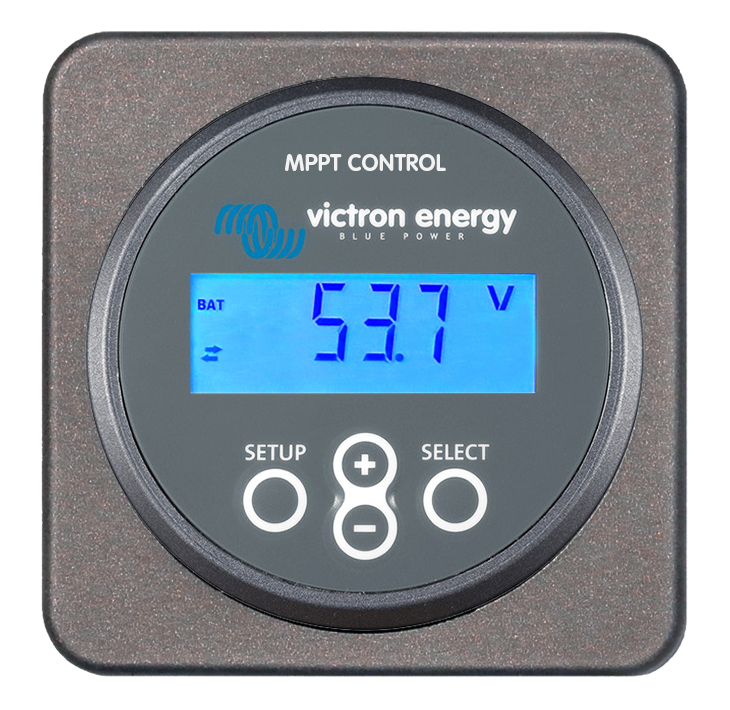 Q: What are the differences between this MPPT control and the Victron BMV700 battery monitor? A: The MPPT Control is used to program any of the MPPT Charge Controllers equipped with a VE Direct port. As well as being used for programming it gives an instantaneous readout of what the solar panels are doing at the present moment as well as historical data of performance over the previous 30 days. The BMV meters do something similar for the battery bank. The instantaneous data of Amps and Volts are available as well as a calculation of state of charge. It also gives a reading of lifetime performance and a calculation of battery efficiency. 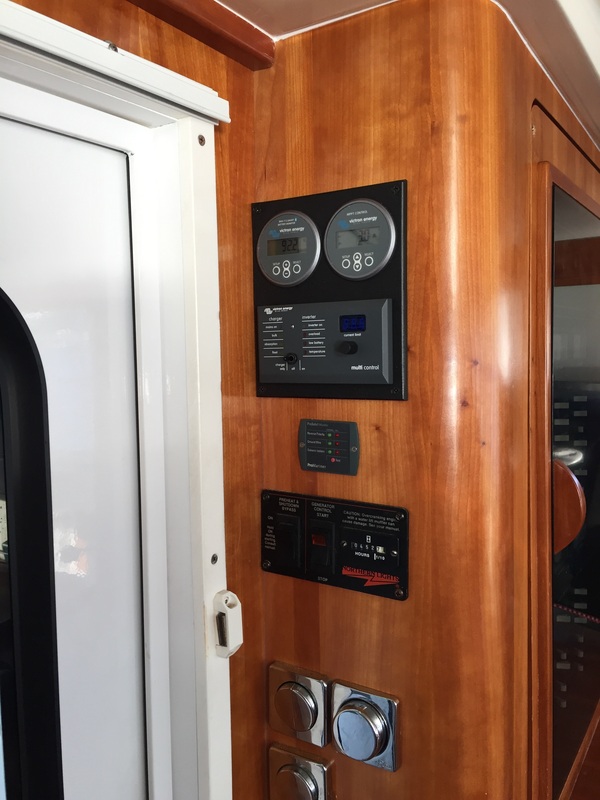 Q: I have 4 panels each connected to individual and dedicated 75-15 MPPT controllers. I would like a nifty monitor like this unit but do I need 4 of them? A: The only monitor available to show all four at once is the Color Control GX. You could also do it by adding Bluetooth Dongles to each and looking at the results on your phone, but you can still only look at one at a time even on the phone. 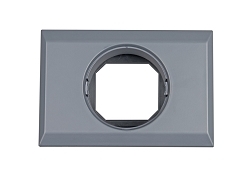 A VE Direct cable is required to use this device, it is NOT included. VE Direct cables are available in a variety of lengths up to 10 metres.